After speculation all month as to whether Buenos Aires province Governor Maria Eugenia Vidal would be bringing forward provincial elections, she finally announced on Tuesday that she would be going to the polls on the same day as President Mauricio Macri – October 27. The next day City Mayor Horacio Rodríguez Larreta – whose decision had never been in any doubt over this issue – followed suit, formally confirming that the Federal Capital would be joining nation and province. Even though the announcement was a foregone conclusion, it will mark the first time the City election has been held on a different day to the national since mayoral elections began in 1996. 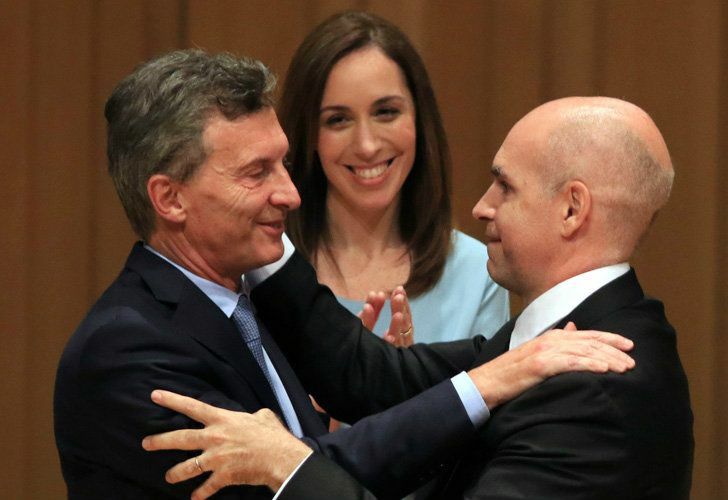 With both these leaders relatively popular in their districts, the prevailing strategy is clearly to lend their coat-tails to win votes for the re-election of President Mauricio Macri – the government’s top priority. The opposite logic – at least in the case of Buenos Aires province – had been to advance the elections and give Macri some momentum from an early triumph to recover popularity, which has been damaged with the recession in Argentina continuing. Buenos Aires province is a key battleground in national elections. Vidal won the race, to the surprise of many observers, in 2015 beating off supposed Peronist shoe-ins. It had also been argued that forcing the Greater Buenos Aires Peronist mayors and likely presidential candidate Cristina Fernández de Kirchner to run on different days would block any mutual reinforcement between them. Vidal had reportedly been increasingly inclined to such arguments until recently, thus making Tuesday’s announcement somewhat a surprise. But in the end Vidal bowed to her boss, whose Cabinet Chief Marcos Peña and leading spin doctor Jaime Durán Barba were adamant in rejecting any separation of the elections. Apart from such strategic considerations as not forcing Macri to run alone without Vidal’s coat-tails, the extra cost of an additional election date (estimated at 2.8 billion pesos) also ran contrary to a government heavily committed to austerity. 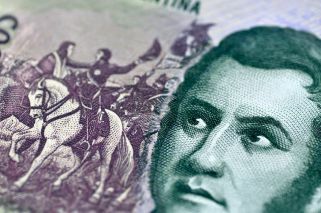 Vicente López Mayor Jorge Macri carried the argument of saving money a stage further by urging the elimination of August’s PASO nationwide primaries. There was also reportedly a somewhat paranoid fear among some in the presidential entourage that if she did too well in an early provincial election while Macri continued to slump in the opinion polls, she could be drafted to replace him as candidate. Allies of governor of Buenos Aires province told local media this week that the governor wanted to “make life easier for Buenos Aires residents” instead of forcing them to ballot for a provincial then national election in October. “We don’t want people to have to go more often to vote. We think that changing the rules so close to the election is a bad idea, and it’s more expensive,” sources told Infobae.com. The day before her announcement, Vidal had joined Macri in Mar del Plata to re-open a clinic for the elderly, renamed the Bernardo Houssay Hospital. “We have demonstrated that when we sit down together at the same table, and if we work telling the truth, then all our problems have a solution,” Macri told reporters. Now that Vidal has more time for her own election, the authorities of the Cambiemos (Let’s Change) ruling coalition would like to see her also campaigning for their candidates in other provinces, reports said this week. Another lesser spotted face – First Lady Juliana Awada – was also deployed on the campaign trail this week, accompanying Vidal on a visit to La Matanza. Some observers speculated that the President Macri’s wife may play a larger role in campaigning this time around.